Explorer, military officer, public official. Born: August 1, 1770, Ladysmith, Carolina County, Colony of Virginia. Died: September 1, 1838, St. Louis, Missouri. William Clark was born August 1, 1770, in Virginia. The son of John and Ann (Rogers) Clark, he was the ninth of their 10 children. In 1785 the Clark family moved to the Kentucky frontier. Clark did not have a formal education and would follow five older brothers in military careers. More than six feet in height with broad shoulders and red hair, he joined Colonel John Hardin's militia campaign at age 19. He then joined the army as an infantry lieutenant, where he served for four years under General Anthony Wayne, who led an expedition against the Shawnee Indians in Ohio during 1794-1795. A junior officer in the expedition was Meriwether Lewis. After five years he resigned his commission due to poor health. In 1803, at the age of 33, Clark was selected to go with Meriwether Lewis on an expedition to the Northwest. He rank was equal to that of Lewis’ although he requested and received no rank. His responsibility on the expedition was to draw maps, coordinate supplies, and lead the men in hunting excursions. He kept a daily log of weather and river conditions. Clark’s family had kept slaves and he brought along his own slave, York, on the expedition. When the Lewis and Clark expedition returned to St. Louis in 1806, both men had achieved fame and honors. Lewis was appointed governor of Louisiana territory; Clark was appointed brigadier-general of territory militia and also Indian agent. Clark made St. Louis, the territorial government headquarters, his home. St. Louis was a growing city with a diverse population. Founded in 1764 by the French, numerous settlers from Indian, Kentucky, and Tennessee had settled there, and many African Americans, both enslaved and free, lived in the city. The area was accessible by steamboat during most of the year and supported commerce, which included numerous American Indians who wanted to trade. In 1808 Clark married Julia Hancock in 1808. They had five children. He was appointed governor of Missouri territory in 1813, and superintendent of Indian affairs. As a part of the War of 1812, Clark led a small expedition up the Mississippi in 1814 into British-held country. Clark’s first wife died and in 1821 he married Harriet (Kennerly) Radford. They had three children. Harriet died in 1831. 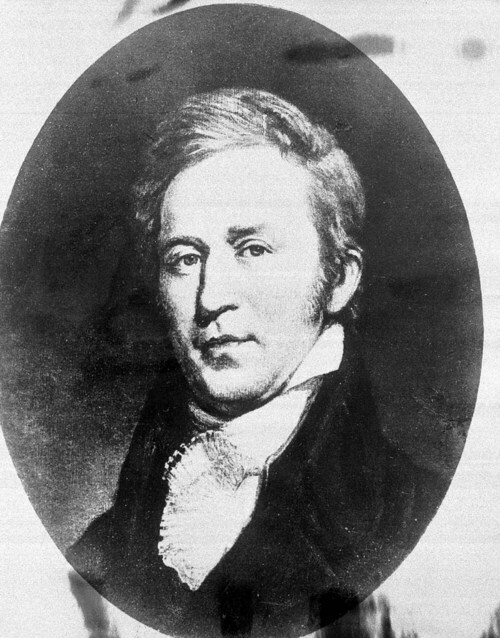 In 1822 President James Monroe appointed William Clark to the superintendency of Indian affairs, a newly created position. Clark maintained a record of his duties in the superintendency along with weather and river data, notes on steamboat arrivals and departures, a record of American Indian visitors, and some items of general and local news. Clark died September 1, 1838, in St. Louis, Missouri. In 2001 President Bill Clinton posthumously appointed William Clark as captain in the U.S. army. His burial place has been designated a National Historic Landmark. The Kansas Historical Society’s collections include Clark’s papers from his superintendency of Indian affairs.